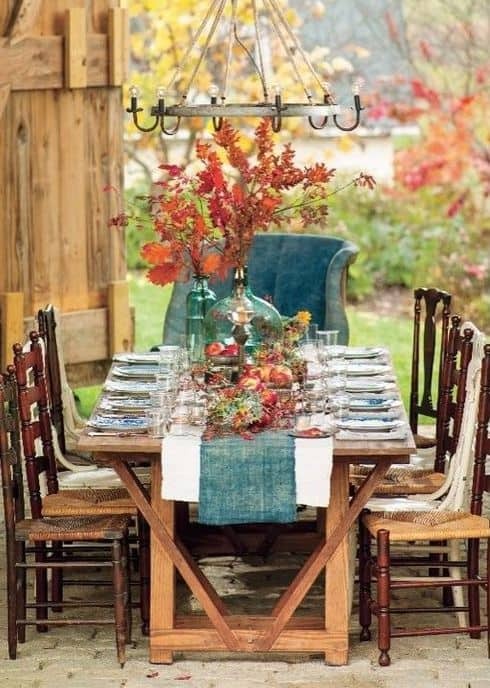 How many of you have this gorgeous autumn tablescape saved to your Pinterest boards? I have long loved it – the barn setting, table, mismatched chairs, light, blue and white plates, and that stunning teal and orange palette. 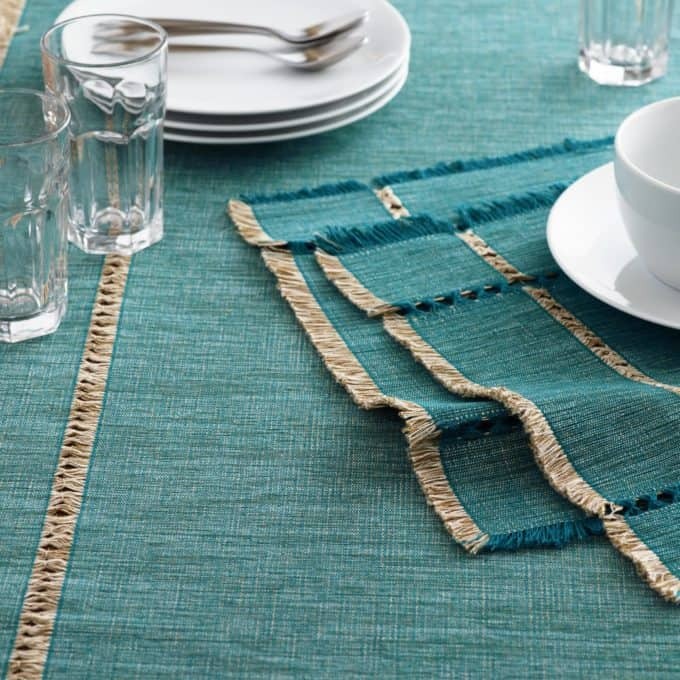 Inpsired by this beautiful tablescape, I have been on the hunt for a teal runner or even a fabric I could cut into a runner for.ever! 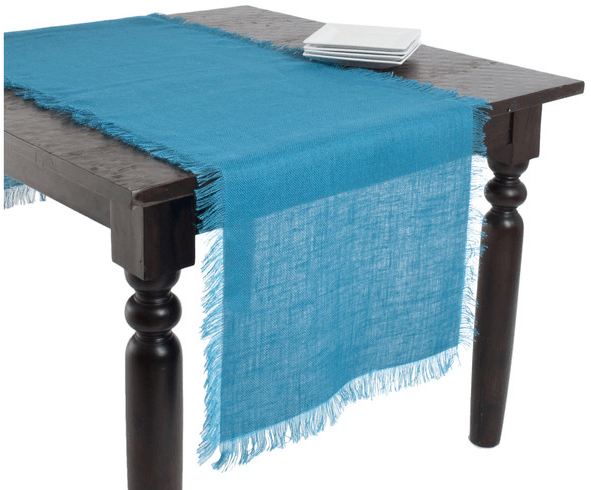 I was SO SO SO excited to not only find a teal runner this fall, but one that is super long and will accommodate my huge table with both leaves in. As it turns out we’re not hosting Thanksgiving this year, but I’m thinking it could make a really pretty non-traditional Christmas table too. 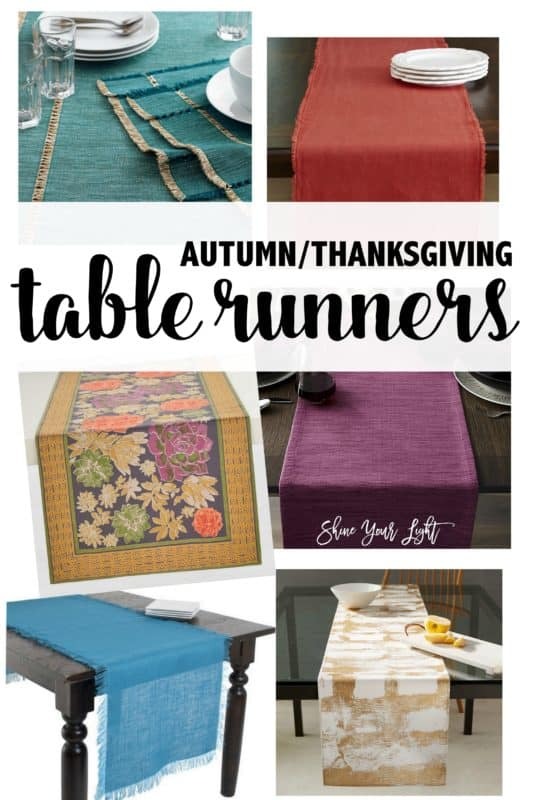 I love runners because they can be used alone or layered over a tablecloth, and I’m less concerned about them getting stained. 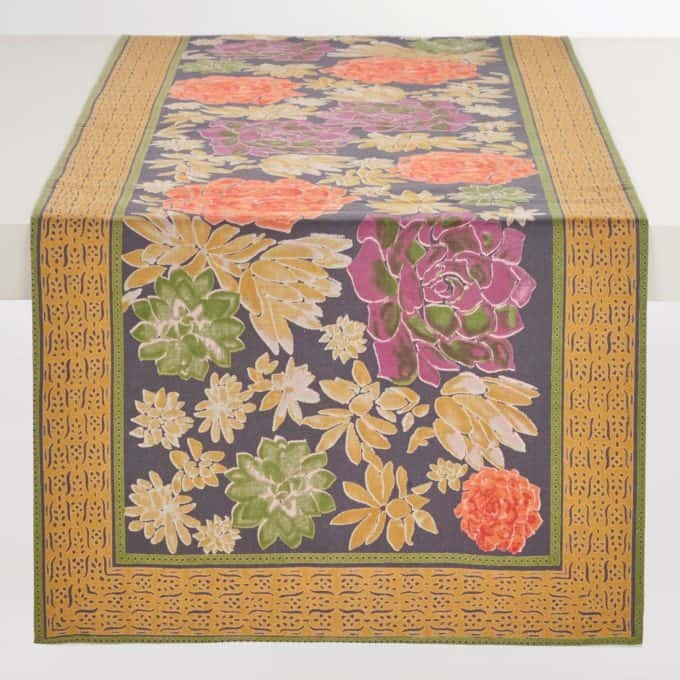 A runner is a fantastic opportunity to add a little color, texture or personality to your table. 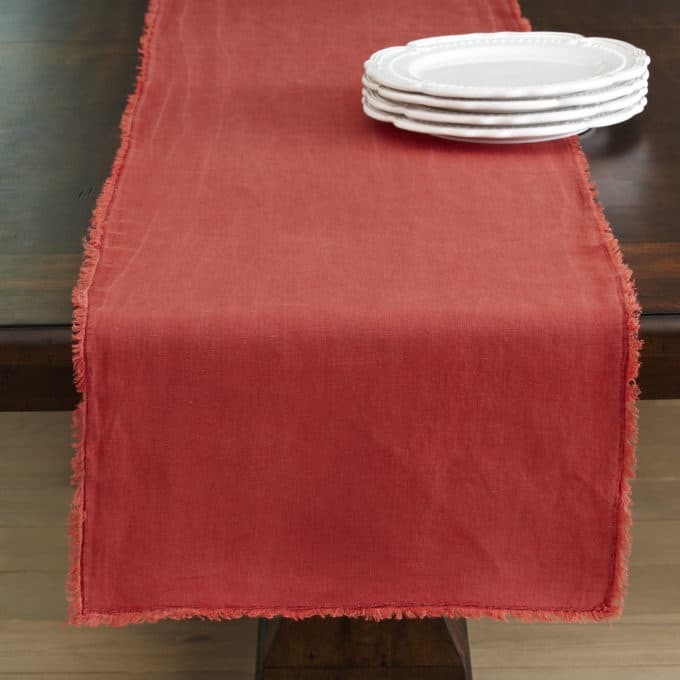 I like a runner to hang over the ends of the table like a tablecloth, so I always look for the really long ones that I can use with the leaves in the table, or fold when using on my shortened table. 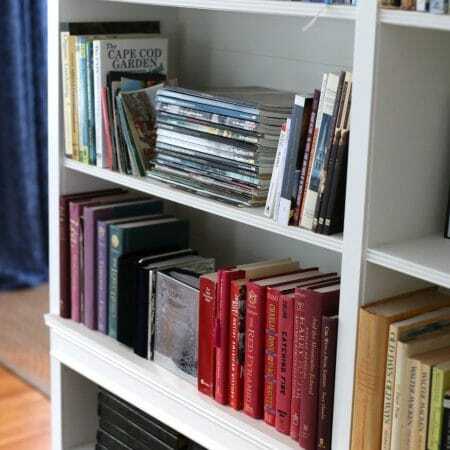 Here are some pretty runners to brighten your table. 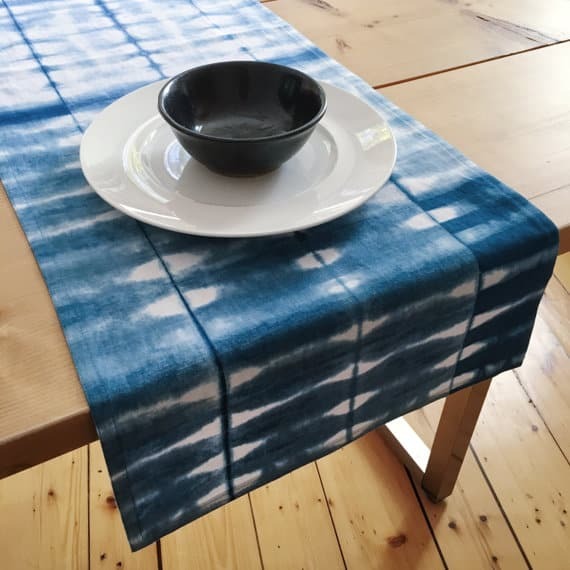 Shibori Indigo Hand Dyed Table Runner (90″) from Ollie & Wren on Etsy (washer and dryer safe!) 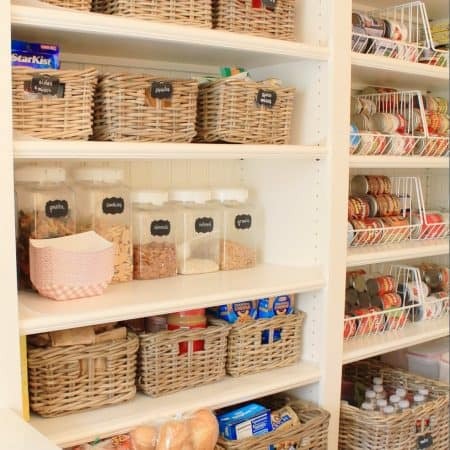 I love the beautiful products in this shop – definitely keepsakes that you will pass down to the next generation! 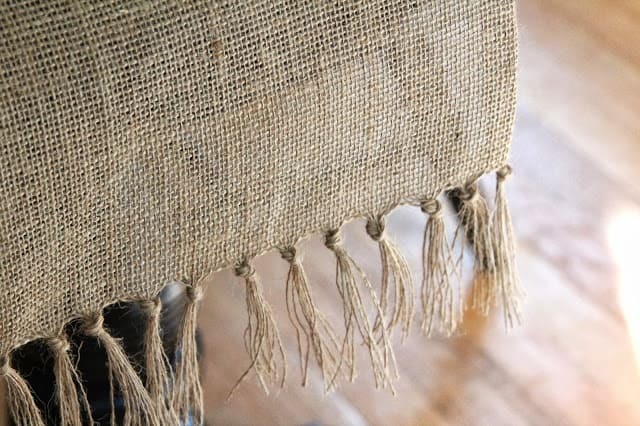 The Amazon burlap runner has serged edges so it won’t unravel, but if you’re up for a DIY version, try my no-sew burlap runner! Pin this post to refer to later…. 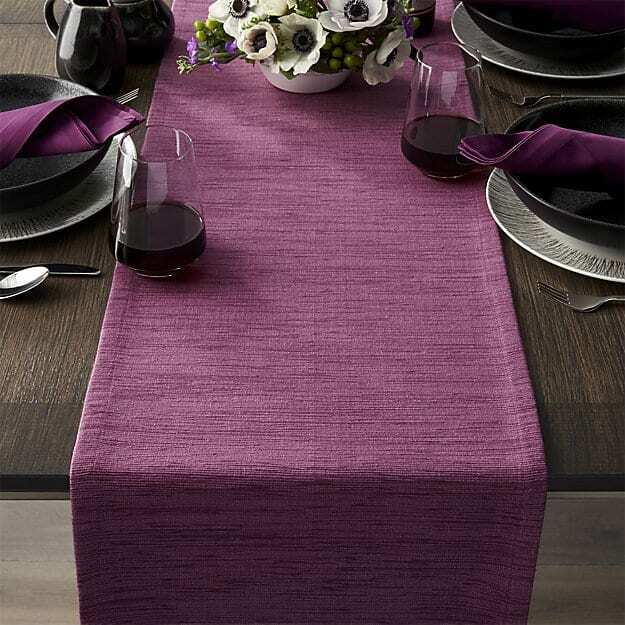 For more Thanksgiving tablescape ideas, check out these posts…. The teal is such a beautiful color! 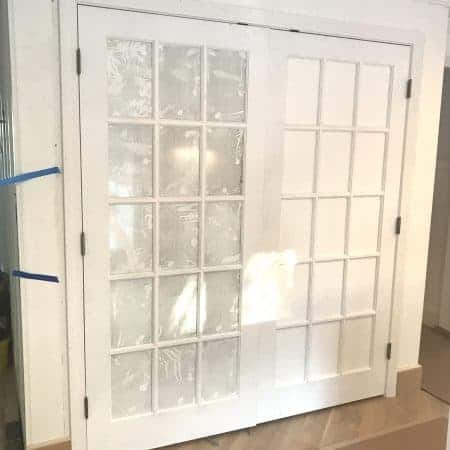 Can’t wait to see it on your table, Lisa! Love the shibori one too. I am having a teal moment Carol! 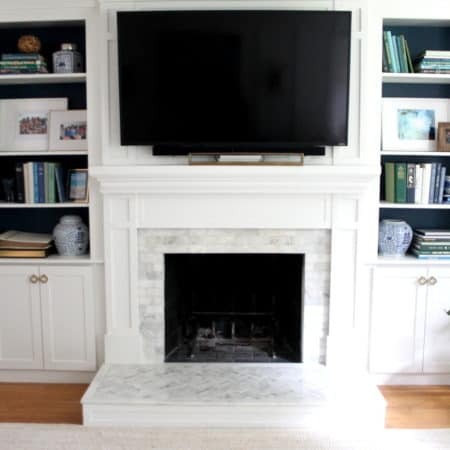 Loving all things teal for some strange reason! Hope you are having a great weekend my friend! i love all of those rich fall colors! happy weekend! Thanks Cassie – happy weekend to you too!